You might realize you have a problem when your defense from the highest elected official in your party is that pathetically lame statement. There were so many bad parts of this episode – which is not nearly over -- that they need to be illuminated now that we have a smidgeon of separation. First, let’s start with an indisputable fact: the Congresswoman from Minnesota has been and is an anti-Semite. I can’t tell you specifically why or how she became such, but she is. Anyone who says she is not is delusional. That sad defense by Speaker Pelosi was just that: a pitiful effort to cover for her. Second, if you want to apologize for something and you really mean it, here is how you do it: “I am sorry; what I did was wrong; I take full-responsibility and I will never do it again.” There are many ways to apologize and blow it. The classic and most used one is the non-apology apology. For example, “I’m sorry if someone was hurt by what I said.” In that situation the person who says that never expresses regret for their behavior. They only express they are sorry someone’s feelings got hurt. This wasn’t even that. There is no contrition here. In fact, it can be argued it did the reverse. Possibly the worst example was Congressman Jim Clyburn (D-GA), the highest ranking Black in Congress. I bring up that he is Black because the Black Caucus as a whole defended this woman’s actions. Clyburn went further than the others by somehow tying her past to the experience of Jews during the Holocaust. My question to Clyburn is was there any Jews who helped contribute to her horrible experience before she got to America? The answer is no. The answer is Israel is the only country ever to extract a group of Blacks from Africa to purposely settle them in their country. Yet the Black Caucus jumped to the defense of the offender and is not supportive of Israel. I don’t get it. I spoke recently with the head of a national group who is responsible for interacting with other communities on behalf of the Jewish people. During the conversation he stated we have challenges with the Black Community. My response to him was simple, “Not with Black Conservatives.” Obviously, it is a political philosophy that breeds this contempt for Jews and Israel. Fourth, people need to understand two things about Israel. Israel is a central core belief of the Jewish people. People who I refer to as “Deli Jews” -- meaning the only way you can tell they are Jewish is they go to a deli twice a year but are not typically observant Jews -- will drop their life, grab a gun and go fight for the survival of Israel, if and when it is threatened. It is always shocking to me to experience that vehemence. Just check the Bible or the Torah. This cause goes back over 5,000 years. Fifth, I have said for a long, long time that support of Israel is not a Jewish value, it is an American value. If you don’t understand that, you don’t understand American values. Any American could move to Israel and be comfortable. When I say any, I mean women, Gays, Lesbians, Moslems, Blacks, Sikhs, Hindus, Hispanics, Asians, Christians, etc. etc. There are few countries in the world that you can say that about. You can’t say that about China, India, France and I can go on. That is why it is surprising the “party of tolerance” created this so-called “anti- hatred resolution” that is a steaming pile of cow dung. If Lefties actually believed in Woman’s rights, Gay rights, etc., they would be huge supporters of Israel. They just are not. They talk a good game, but they don’t actualize it. They believe in power vested in their hands. 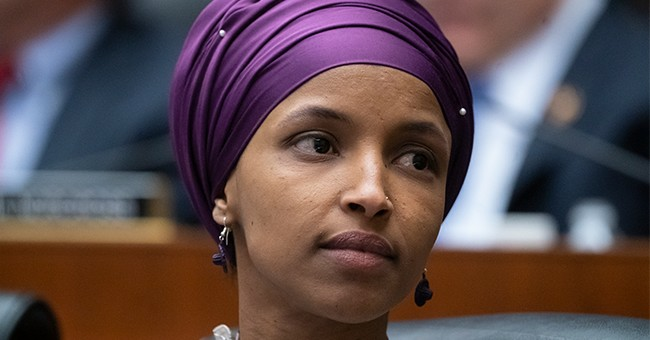 In this case, based on that Buckley’s analysis, Representative Omar and her colleagues who defend her reek of anti-Semitism. That was why David Duke endorsed her position. Her colleagues need to focus on her and sanction her accordingly.